I have seen Les Mis live four times, including yesterday afternoon. The first three times were on grand stages in Peoria, Saint Louis, and Chicago with touring Broadway casts. It is a story of grace and salvation that needs to be told, and it is a story that my heart longs to hear over and over. Seeing Les Mis is a sacramental experience for me. It at the same time convicts and uplifts me. It reminds me of the stark cruelty of the world and of the sublime beauty that lies within us. The music, the power, the triumph, and emotion of it is something I crave like a cold glass of milk after an oreo. Every time I see it, I have to resist the urge to sing along for the sake of those sitting next to me. Every time I see it, I laugh at the Thenardiers raunchy jokes. Every time I see it, I shed a tear for the plight of Fantine and bristle at the cruelty of the world. Every time Is see it, I am inspired by Valjean’s integrity, and lament Javert’s misplaced idea of duty. The tears have come every time that Gabrach is shot, and I ache for Eponine as she sings “On My Own,” as I remember the unrequited loves of my own youth. They come again when Eponine dies, and I hang on the director’s decision to let them kiss before her last breath or not. Since having daughters of my own, the tears have found new outlets, like when young Cosette begs to not go into the dark. They come strongest now when Valjean sings “She was never mine to keep,” as he sees Cosette and Marius wed.
Every time I see it, I leave emotionally exhausted. Yesterday afternoon was no exception. The performance I witnessed was not as polished or grand as the others that I have seen. The actors were not Broadway stars, and the stage and set was not in a world class theater. It was in a re-purposed building, with simple costumes, a sparse set, and young actors. Yes, young actors. The oldest performers were 16. I saw Les Mis at the Center For Living Arts. It was directed by Dino and Tina Hayz. The cast had three weeks from their first rehearsal to their first showtime. In those three weeks, the rehearsed five days a week for 8 hours a day. The youth at The Center are talented, but the show was not great because they blew me away with their singing. The show was great because they poured themselves into it. They captured the emotion and the passion that is needed to pull off a show as big as Les Mis. Though I cringed a few times because of the adult-oriented themes, like when the brilliant Madame and Master Thenardier sang their raunchy songs, or when the cast of young teenagers sang “Lovely Ladies,” there was something about their raw youth that made it even more real. The performance of “I Dreamed a Dream,” by a very young Fantine was one of the best performances of that song I have ever seen. I realized that the young girl singing was probably about the same age as a “real” Fantine would have been. The harsh truth is that many of the sexual slaves of the era – and even today – are but young teenagers. The youthful exuberance of the students in the taverns, willing to die for their cause took on a higher level of tragedy. The love story of Cosette and Marius seemed more authentic than usual, as I’ve always felt the love-at-first-sight story seemed a little contrived when it was adults playing the roles. Eponine’s “On My Own,” was as emotional as any I’ve witnessed as it was sung with a forlorn wistfulness than only a teenager can make believable. By the time the whole cast came out to sing the finale, I was ready to stand and join them beyond the barricade. The final vision, which is the Kingdom of God where even Javert can find the redemption he was never able to offer, is one that puts goosebumps on my arms and fills me with hope. As I watched the group of young people stand and sing, I was filled with awe. I have worked with Dino and Tina before. I have witnessed what they can do with people with willing hearts. All I can say about them is that they work magic. Absolute magic. 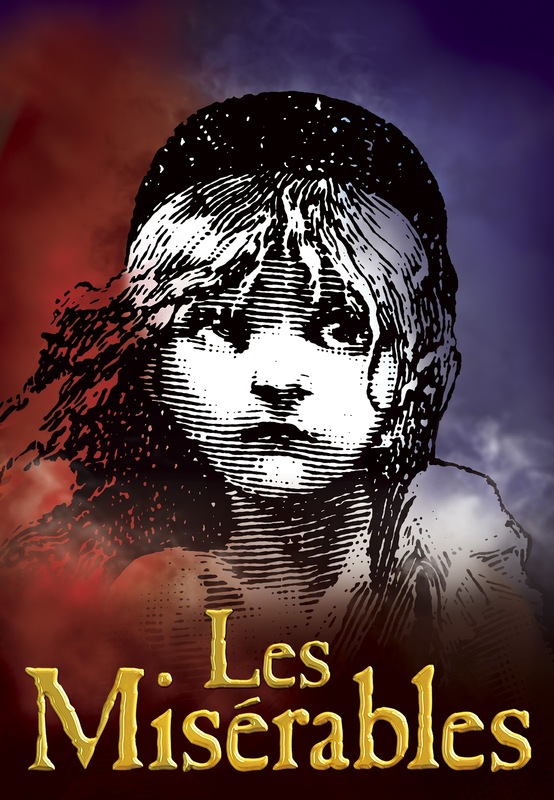 Les Mis has long been my favorite musical. Miss Saigon has always been my second-favorite. I heard that the Center is considering it for next summer. It will be an even taller task than Les Mis, but I can already see the Master of the House as The Engineer. If anyone can pull it off, it is Dino and Tina.